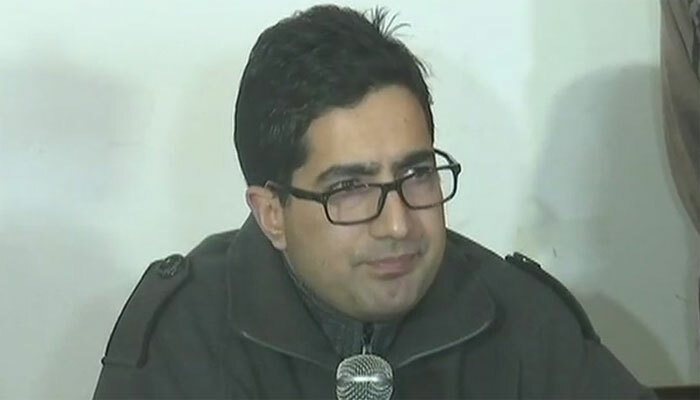 MUMBAI: Former Indian Administrative Service (IAS) officer from Indian occupied Kashmir (IoK), Shah Faisal has said that he was deeply inspired by Prime Minister Imran Khan Arvind Kejriwal to join politics. Shah Faisal, a 2009 IAS topper from Indian occupied Kashmir, recently resigned from service to protest against "unabated killings in occupied Kashmir”. The former IAS officer had been in news for the past few months for taking bold stands against several issues. Faisal had cleared the Indian civil services exam in 2009, becoming the first Kashmiri youth to top the test. The 2010-batch officer said he was deeply inspired by the style of the politics of Pakistani Prime Minister Imran Khan and Delhi Chief Minister Arvind Kejriwal, but the "situation" in Indian occupied Kashmir would not allow him to pursue politics in their style. "I wish if the youngsters of Kashmir give me that kind of opportunity, I will be happy to do a retake of Imran Khan and Kejriwal," India Today quoted Shah Fasial as saying.